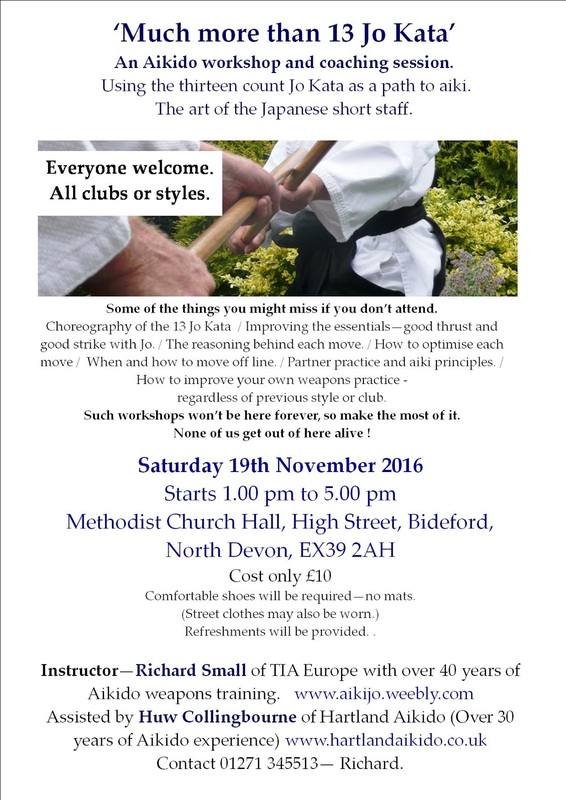 Come and join us on Saturday, November 19th for an in-depth aiki-weapons workshop based around the techniques, principles and applications of the 13 Jo Kata. All welcome. Be sure to bring a jo!